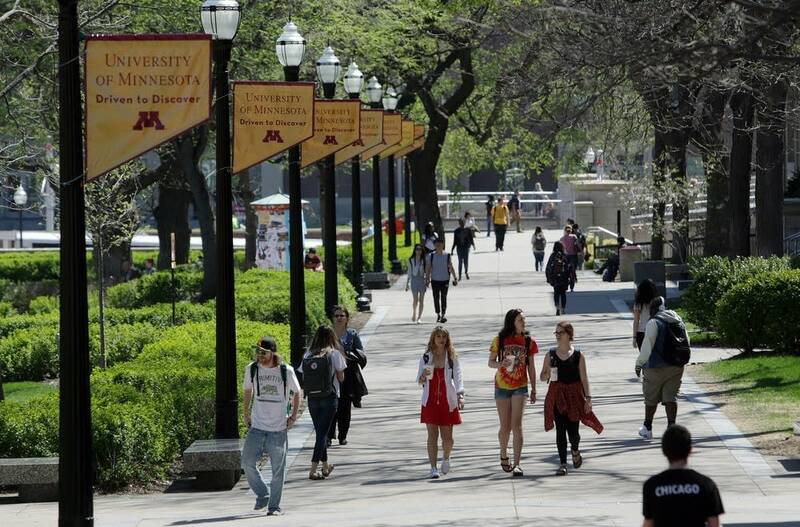 The University of Minnesota and Minnesota State Colleges and Universities systems will have to make more progress in increasing graduation rates, cutting costs and awarding degrees to receive full funding. In the higher education funding bill passed last month, state lawmakers withheld 5 percent of funding for fiscal year 2017 until MnSCU and the U of M each meet a handful of targets. State Sen. Terri Bonoff, chair of the Senate Higher Education Committee, said she hopes the legislators continue the practice each session. "If taxpayer dollars are being invested, taxpayers should know that there's accountability," said Bonoff, DFL-Minnetonka. State lawmakers withheld nearly $34 million of MnSCU's total biennial appropriation of $1.35 billion. For the U of M, lawmakers withheld about $31 million of its $1.25 billion in funding. • Increase by 5 percent the number of students who graduate without taking many courses beyond the minimum number required. Such performance-based funding has been around for decades. More than 20 states now use it for some or all their college and university systems, said Matt Crellin, a research associate at the National Center for Higher Education Management Systems. But tying education outcomes to funding has become more popular since the recession, he said. "There's this sense that has ripened," Crellin said. "To what is higher ed accountable? Enacting [performance funding] became a mechanism to look at rewarding improvement." Minnesota lawmakers started setting goals for MnSCU and the University of Minnesota in 2007, when they withheld 1 percent of the systems' funding. In 2013, Bonoff increased the stakes by withholding 5 percent. That appears to be on the low end of the national range. Most states that use performance goals tend to withhold 5 to 25 percent, Crellin said. • Increase the number of licensing disclosures by 3 percent. Bonoff said this year's goals remain focused on increasing access to college, lowering student debt and getting more students to graduate, as well as controlling administrative costs. Two new goals this session — improving remedial education and reducing the number of extra courses — reflect a push to get students through college more quickly. Legislators say students will perform better, graduate more quickly and at less cost if they take credit-bearing classes instead of developmental courses that cost money but don't contribute toward their degrees. Bonoff said she also wants to give MnSCU an incentive to make transferring between campuses smoother, so students don't have to retake classes they thought they would receive credit for. Though both the U of M and MnSCU systems met most or all of last session's goals, state Rep. Gene Pelowski, former chair of the House Higher Education committee, is not impressed. "There's never been any type of a metric done that higher education cannot meet," said Pelowski, DFL-Winona. "They'll make sure the [performance] report is done in such a way that they get the funding that's attached." Pelowski said it would be better to focus on lowering the cost of college for students so they can afford to attend and have time to study. If that is done, he said, graduation rates should improve. Spokespersons from MnSCU and the U said officials were unavailable to comment. But a MnSCU spokesperson issued a written statement that said the goals "are consistent with our long term performance measures and effectively demonstrate alignment between legislative priorities and our long term strategies." George Pernsteiner, president of State Higher Education Executive Officers, a national association, said it's fine for the state to use performance-based funding to motivate schools to achieve a broad goal. What his organization does resist, he said, "is the state telling institutions how to do it." The use of performance funding isn't widespread in the Minnesota Legislature, Senate officials say. But Bonoff said she'd like to see more committees use performance measures for the agencies they oversee.